New Jersey, USA - There is now the chance of a second life for that old kitchen after remodelling or redesign. So before you chuck it in the dumpster or skip think again. Why not donate or sell or reuse some of that old kitchen in your redesign instead. Architectural Digest recommend luxury kitchen renovators may want to seek out Renovation Angel. Set up by Steve Feldman it is America’s premier recycler of luxury pre-owned kitchens. Steve and his team of professionals have conducted thousands of projects for members of the Forbes 400, Celebrities, Sports Stars, and High-Net-Worth property owners. Homeowners will receive thousands in savings with a full tax deduction and will enjoy a dust free professional, insured, white-glove removal, pack and transport. However for a kitchen that Renovation Angel reject seek out and donate it instead to your local Habitat for Humanity Restore in the USA. Other non profits dedicated to the environment may also welcome an old kitchen such as Big Reuse based in New York. See the SalvoWEB world wide directory for full contact details and website links. Or you could even try selling an old kitchen on the SalvoWEB online marketplace. Adverts are free and it could mean a bargain for any potential buyer too. 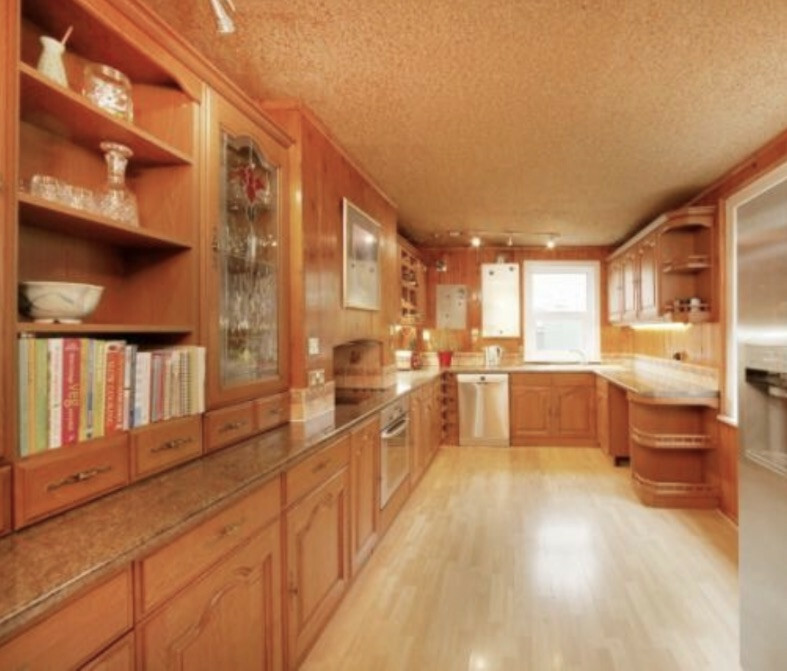 A current SalvoWEB for sale advert for the secondhand kitchen ([pictured) states: 'Please make me an offer. Large sized kitchen in pine available. Willing to include sink, hob and oven in sale. No other appliances. Collection from SE London or we can discuss arranging delivery. Great kitchen but we are remodeling the space.' As they say, one person's trash is another's treasure. Alternatively think again completely and renovate your kitchen using at least some parts of the old one. Any new style can be created from modern to industrial or rustic. Kitchen doors, drawer fronts and work tops can be replaced. The existing carcass of your kitchen units remain the same and you just get a new front but it gives a completely new look. Worktops can also be changed. Find a local craftsperson or a company that will custom make and fit everything for you. 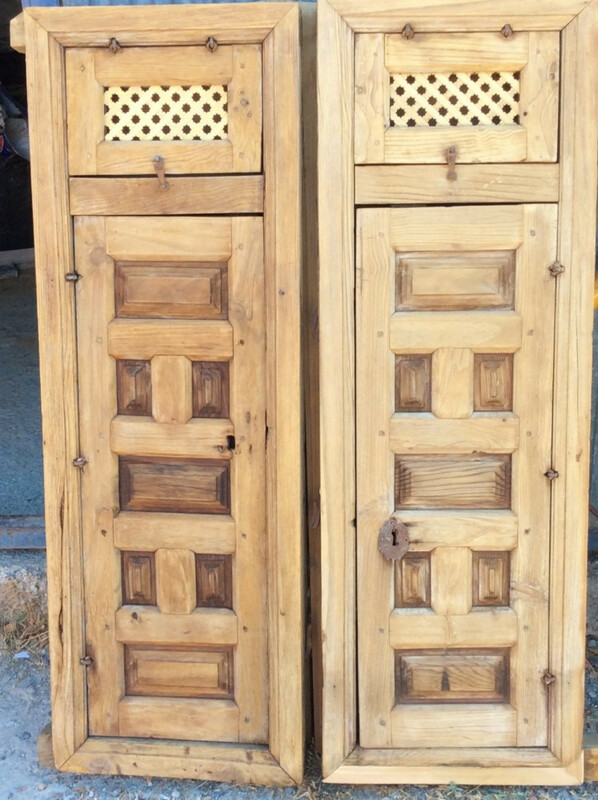 Many architectural salvage yards sell old past life cupboard doors or shutters which could be adapted to fit your old kitchen carcass. A mismatched selection of old cupboard doors would add instant character to any rustic or industrial style kitchen. Also for more inspiration check out the Reclaimed Woman, kitchen renovation. 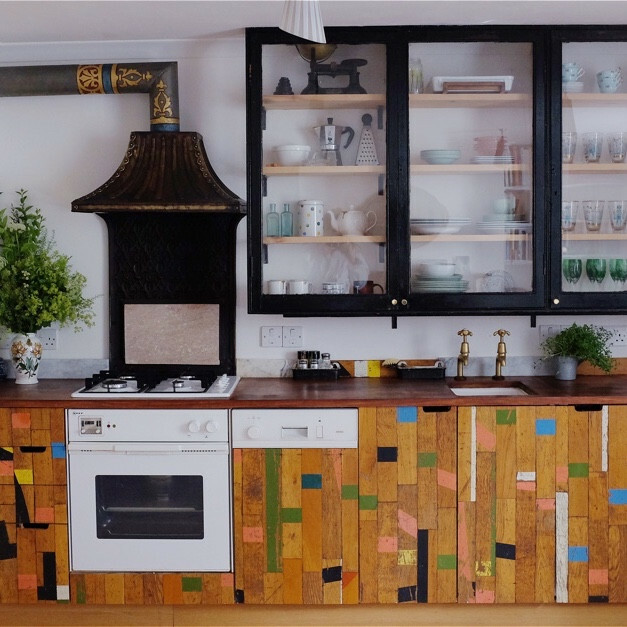 She reused her old kitchen carcass and with design ideas such as doors made from wood salvaged from an old gym floor created a cool new look in her own London flat. See the link below. Another option would be to simply refresh an old kitchen with paint. Using eco paint of course, either do it yourself style or for a more professional look find an expert. 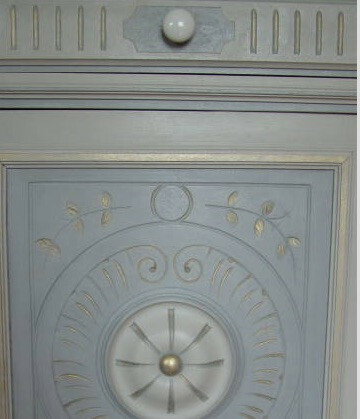 Paint effect and chalk paint specialists, such as Vanessa Webb, can transform an old tired design into a 'work of art'. Vanessa is often asked to transform old wooden kitchens by hand painting kitchen units to make them more suitable to contemporary tastes. Again find Vanessa in the SalvoWEB directory. Although based in Bristol, UK she will take on commissions in other countries. 'Consulting SalvoWEB throughout the journey, I set about realising the reclaimed dream I sketched on a napkin in New York. I rarely found what I imagined, but one ingredient led to the next and my taste matured. I originally envisaged a glamorous kitchen to prove that salvage could look polished, but I fell for honest materials and I wanted to feel their provenance. I love the fact that girls were playing games back in 1910 on floorboards that now front my kitchen doors. What could be more glamorous than that? Note: full details of all those named can be found in the SalvoWEB online directory and see the Architectural Digest article link below.